Yoga Journal Basics Column. Roll out your yoga mat at home and you’ll find the freedom to experiment, to evolve, and to become your own best teacher. 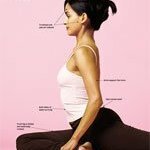 A Complete Guide, featured cover article Yoga Journal. Roll out your yoga mat at home and you’ll find the freedom to experiment, to evolve, and to become your own best teacher. 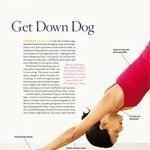 Yoga Journal Basics Column Roll out your yoga mat at home and you’ll find the freedom to experiment, to evolve, and to become your own best teacher.